This Sandpiper model might just be the one that marks all your checklist items off! Starting with the kitchen providing a residential refrigerator, stainless steel appliances and a booth dinette to the 60" dual pane patio door, you will enjoy making meals and visiting with your family while they relax on the sofa and booth dinette slide out. Now imagine the kids returning to their own private bunkhouse through the half bath exterior entrance after a fun day outdoors. 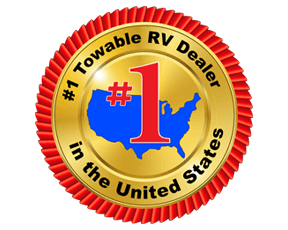 They will surely love hanging out on the glide sofa and triple bunks, plus the trundle bed. Then imagine you sneaking to the front bedroom to take a nap on the queen bed before everyone wants dinner. You might even escape to the full bathroom to enjoy a shower. There are more features to see, and options to choose, step inside today! 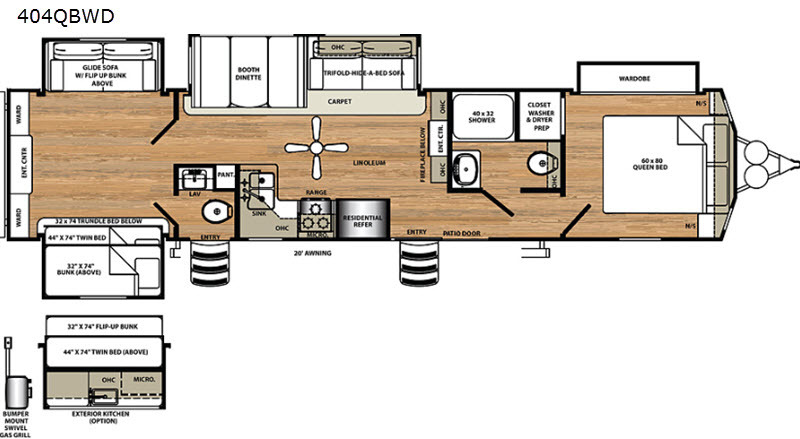 Each Sandpiper Destination Trailer model has an 8'3" interior height for more head room, stainless steel appliances and crown molding over the kitchen cabinets for a stylish residential finish, plus recessed residential LED lighting throughout. You can control the temperature inside with the thermostat for heating and cooling, keep warm by the fireplace, and turn on the ceiling fan to keep the air moving. 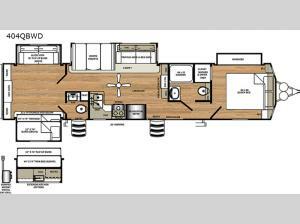 This luxury destination trailer by Forest River is what living life is all about, take the leap to a new experience with a Sandpiper.